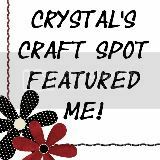 Chandelier Redo - With Burlap! 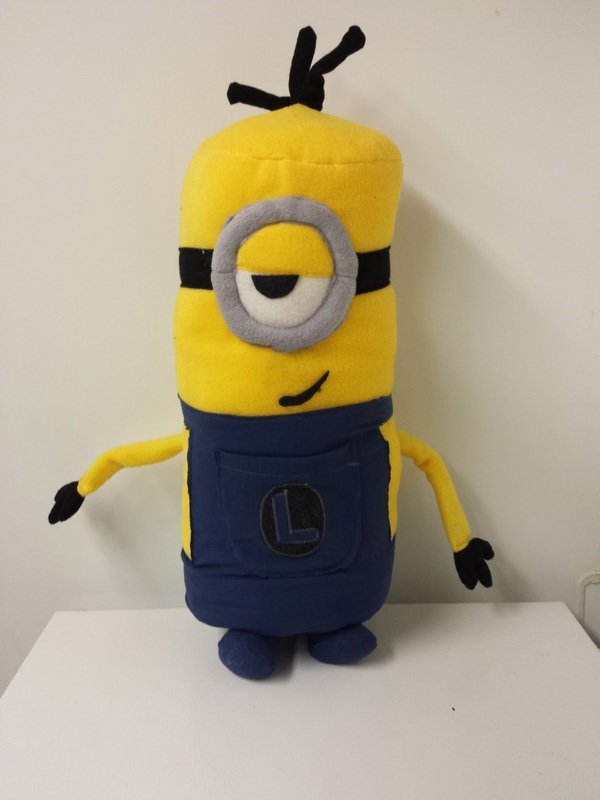 I'd like to introduce you to another minion that I have made. He's a little bit cheeky. Just like the classic Despicable Me minions. 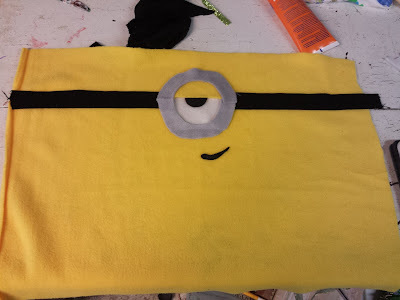 The toughest part about making these minions is getting the face correct. I wanted Stuart to have an eyelid for his one eye and a bit of a impish grin. You remember Dave that I made for Logan? Stuart is for Laney. 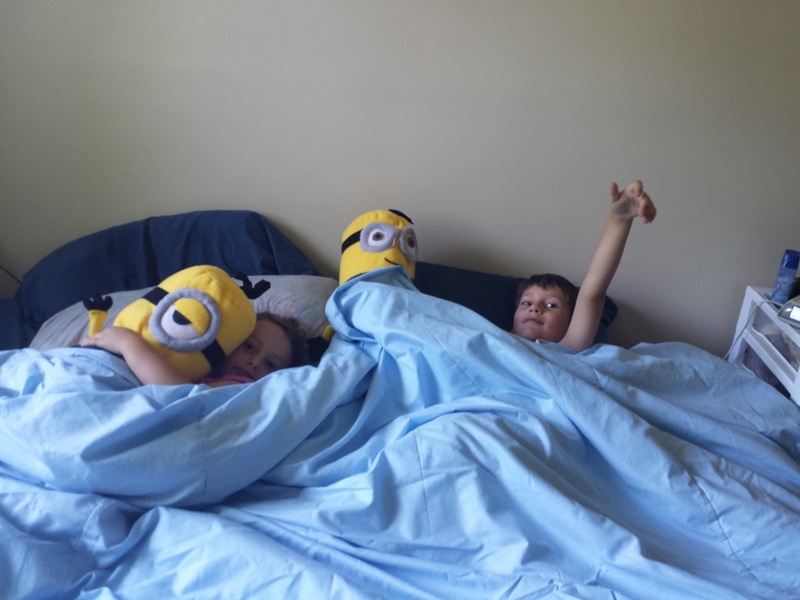 They each needed their own minion. Hence the "L" on the pocket instead of the "G" for Gru. Lane told me as I was completing the head, "Stuart has sticky-uppy hair mom, can you make that?" Apparently I can! Pipe cleaners to the rescue once more. Now Stuart's three hairs can be styled whichever way Laney wants. Both kids love their minions. Thank goodness because they weren't easy to make and I'd be kinda disappointed if they got left in a room somewhere and forgotten. I needn't have worried. 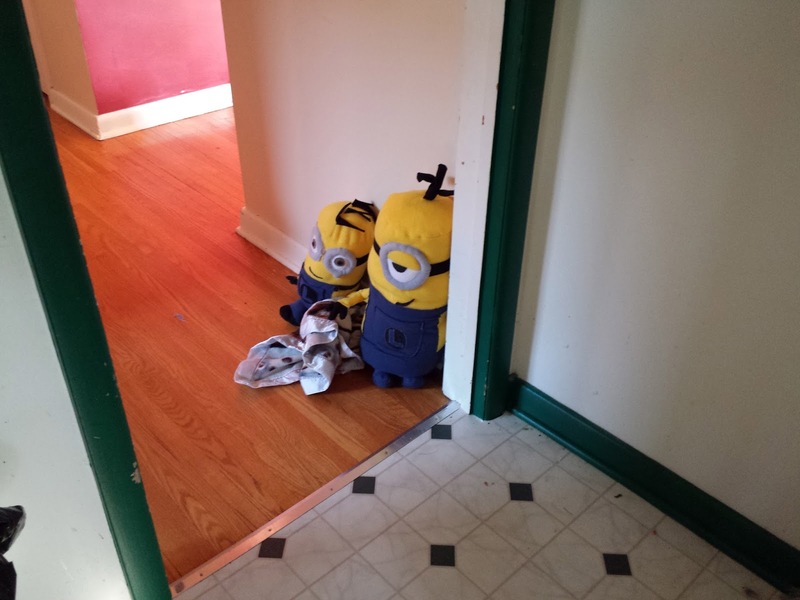 Both kids cart those minions around with them wherever they go. They include Dave and Stuart in almost every game they play. And when they're playing outside, they set up the minions in the window to watch them play. 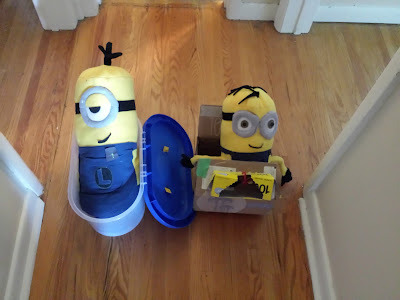 A new game we have in the house is to snap photos of the minions doing silly stuff. Here they are being sneaky. They have Laney's blanket and they're not afraid to hold it for ransom. Here they are in their DIY cars (that change into airplanes if needed) that the kids have made for them. I didn't get a photo this morning when we were about to leave to meet Terry for lunch downtown. The kids had set Dave and Stuart on a chair at the kitchen table with plastic french fries and a bottle of mini M&Ms in front of them. They needed lunch too. 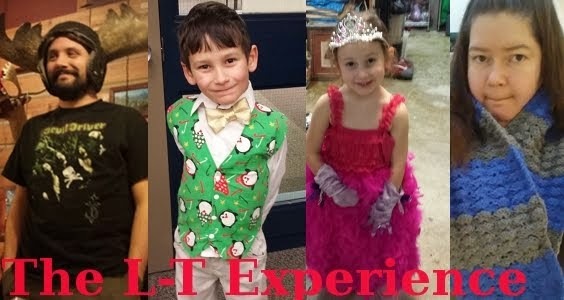 hehehehe Precious! I think my minion making days have come to an end for now. They are fussy and difficult.I might pull out some of my minion making skills later in the year to make a few Christmas presents. Or when the Minions movie comes out next year for whichever kids in my life need one, but for now I'm taking a rest.